Burbank Taekwondo School is a family owned and operated martial arts school. Since our opening in 2012, we have been providing the finest martial arts, self-defense & fitness training for Children, Teens and Adults. 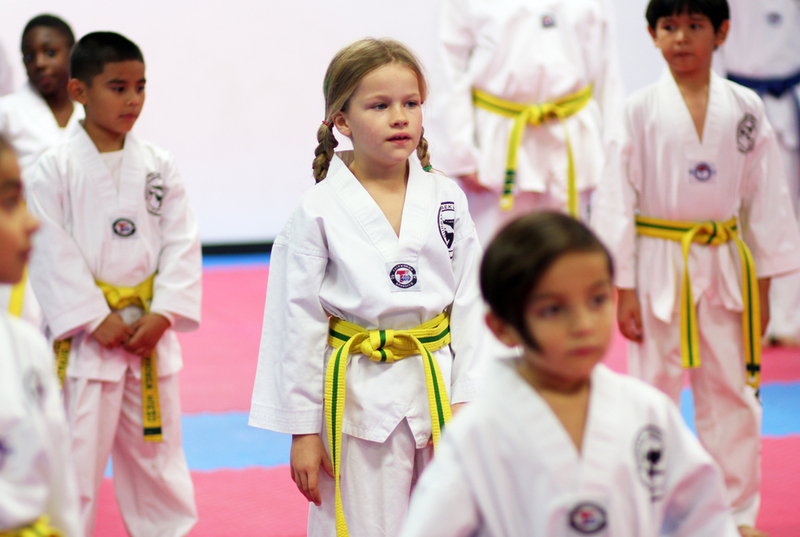 Burbank Taekwondo School is a family owned and operated martial arts school. self-defense & fitness training for Children, Teens and Adults. Our LITTLE DRAGONS (ages 3-6) class focuses on improving children’s basic motor and listening skills. Our program enhances positive development in a fun and motivating way. The Little Dragons class will also prepare your child for our Taekwondo classes. Your child will be exposed to positive social interaction. They will learn how to work with others and to follow directions from their instructors. They will also learn basic Taekwondo techniques in a fun environment! TINY DRAGONS is a similar class for ages 30 months to 4 years. Parent participation is invited, but not required. TAEKWONDO KIDS is entry to black belt level Taekwondo instruction for young people. It is again, a fun environment where kids can learn the techniques of this martial art, while learning to cooperate with others and to listen to instruction. The discipline of Taekwondo will give them self confidence, physical strength, agility, focus, a sense of acheivement, and much much more! This program is a belt award program, giving your child the opportunity to train for a black belt and to compete in local competitions. ADULT CLASS is entry to black belt level Taekwondo instruction for adults. In addition to learning the martial art in a fun environment, you will be getting a great workout! You will increase your physical strength, agility and stamina, while gaining mental focus and confidence. This is definitely a fun activity to share with your child as well. You will have the opportunity to work toward a black belt and to compete in competitions.